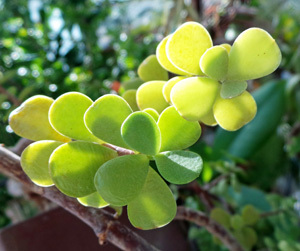 Elephant bush, Portulacaria afra, is a perennial succulent shrub from South Africa that is a popular succulent garden plant around the world. It is easily grown as a seasonal accent plant or low maintenance houseplant in our part of the world. Also sometimes called elephant food or elephant plant; dwarf jade, miniature jade or small leaf jade (but not related to jade plant, Crassula ovata); porkbush; or spekboom (in Afrikaans) or other common names in Africa, it is found on rocky outcrops and slopes from the Little Karoo in the Western Cape to the Eastern Cape northwards into KwaZulu-Natal, Swaziland, Mpumalanga and the Limpopo Province and further north into Mozambique. 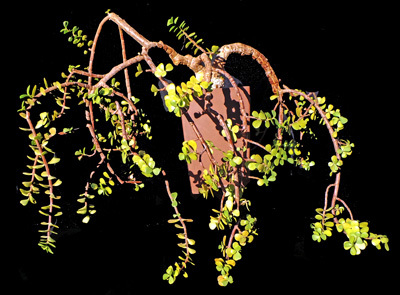 Although it is considered to be in the purslane plant family (Portulacaceae), molecular phylogenetic studies suggest this genus should be in the Didiereaceae, a group otherwise found only in Madagascar. Recent research has shown P. afra is an excellent ‘carbon sponge’, with the ability to efficiently use more carbon from the air than most other plants (since it can use both normal and CAM pathways to grow despite adverse climatic conditions) and can therefor remove more carbon from the atmosphere than an equal amount of deciduous forest. The stems are brown when mature. This is a soft-wooded, semi-evergreen upright multi-stemmed shrub or small tree that can grow 8 to 15 feet tall in the ground in mild climates (hardy in zones 9- 11). The fleshy, flattened, ½-¾ inch long nearly sessile (without a distinct petiole) leaves are round to oval in shape. The glossy emerald green, opposite leaves are borne on brittle, fleshy reddish-brown stems and tapering branches that mature to a grayish color. Although succulent, the trunk and branches have a woody inner tissue. The stiff, irregularly arranged branches will grow into a thicket if left unpruned. Heavy branches may break off, often rooting where they fall and beginning new plants. It looks superficially similar to jade plant, but has much smaller leaves that tend to be closer together on thinner stems. The rounded to oval leaves are nearly sessile on the reddish stems. The foliage is edible – and is commonly eaten in southern Africa, usually in salads or soups to add a sour flavor – and was traditionally used medicinally for a variety of minor ailments. It is widely browsed by domestic and wild animals because of its ability to remain succulent despite periods of searing heat and drought, and is a favorite food of tortoises. Elephants do eat the plant, leaving the lower, spreading branches and a lot of broken twigs as they strip the branches of the leaves, which later root to expand and thicken the colony, creating new thickets known as “spekboomvelds”. 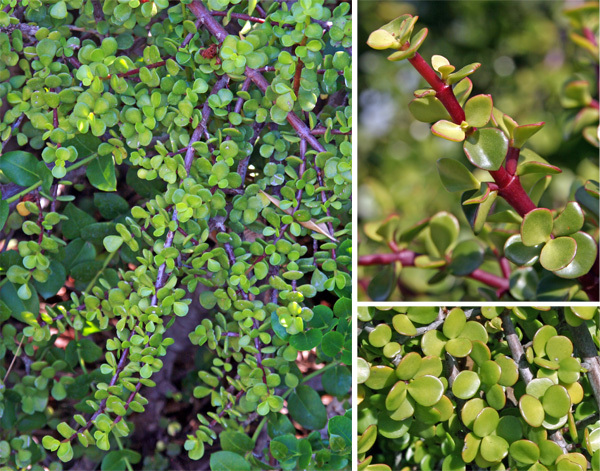 The foliage of elephant bush is edible. Other animals, such as goats, eat the plant from the ground up preventing the plant from surviving. Overgrazing and poor regeneration is causing a decline in elephant bush populations, except in areas such as in parks or reserves where non-native browsers are limited, as P. afra seed has great difficulty germinating in its native habitat. Plants produce a myriad of tiny, inconspicuous pink or white flowers in late spring or early summer in its native habitat (or in places like Southern California where they can be planted in the ground) after a dry winter where plants are not irrigated. The flowers are rare in cultivation. Flowers are produced in clusters at the ends of the branches. The star-shaped flowers have 5 pointed petals and prominent stamens. Pollinated flowers are followed by tiny transparent to pink, berry-like dry fruits, each with a single seed. Elephant bush generally only flowers when grown in the ground in mild climates (L), with very tiny pink flowers (R) on the ends of the succulent stems (LC and RC). 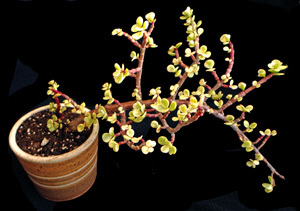 In the Midwest elephant bush is best grown in a hanging basket, as part of a mixed succulent dish garden, or as a tender bonsai specimen as the dense branching gives even young plants a venerable look. The plant readily produces buds wherever branches or even leaves are removed, so it is easily kept almost any size or shape by pinching or cutting just above a pair of leaves pruning. Elephant bush is well suited to growing in a hanging or elevated container. The small root ball adapts well to typical shallow bonsai containers, and being succulent it is more tolerant of drying than more traditional bonsai subjects such as maples or evergreens so requires less constant attention. Plants in containers alone can be staged with other potted plants to provide contrast in color and texture. But even though they can grow in very little soil, their succulent leaves and stems make them top heavy, so plants may need to be stabilized with a rock or stake to keep it stable until well established. The medium fine texture of the foliage is a good contrast to wide-leaved annuals or perennials such as coleus or heucheras, and the reddish color of the stems coordinate well for a color echo with plants with red, purple or dark foliage. 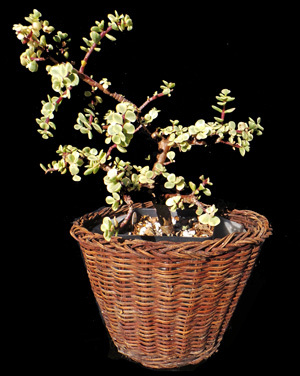 Portulacaria afra needs bright light and very well-drained soil to thrive. Use cactus mix or a custom potting medium with generous amounts of small pea gravel, poultry grit, pumice, or other non-porous materials (avoid using a lot of sand as the particle size tends to be small and will fill pore spaces more readily than other materials) and a container with large drainage holes. Unglazed pottery is best to allow for better evaporation of excess moisture. The ideal indoor location is usually a south-facing window, but eastern or western exposures are acceptable, too. Too much direct sunlight can cause the leaves to turn yellow or red at the tips – which some people prefer – or may even burn the leaves. 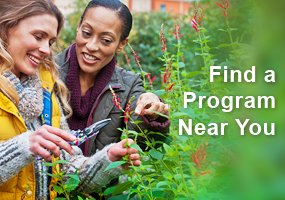 It may require some experimentation with locations to find the right spot for optimal growth. Potted plants can be moved outside for the growing season after all danger of frost has passed. Gradually acclimate the plant to the new conditions; the leaves are likely to be sunburned if a plant is abruptly moved from inside a house to full sun outdoors. Move back indoors when night temperatures drop below 40F. It may lose some leaves when transitioning to its winter home if it receives less light than where it was outdoors. Elephant bush responds well to bonsai training techniques. 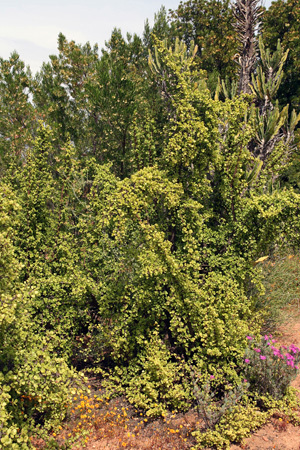 Although elephant bush is very drought tolerant it grows more quickly and the foliage is lusher with adequate water. Be careful not to overwater, as it is susceptible to root rot in consistently moist soil. Restrict watering in the winter. Unless the indoor environment is unusually bright and warm, withhold water until the lower leaves begin shriveling, which could be several months. Resume watering sparingly once daylength increases in spring, allowing the soil to dry to a depth of an inch before watering again. Fertilize plants in containers monthly during the growing season (or more frequently if pruning a lot to grow a dense plant in a small container). Repot when the plant has filled the container or roots are growing out the drainage holes. This plant has few pests, but mealybugs can be a problem, especially indoors. Like many succulents it does not tolerate some pesticide sprays. Petroleum-based chemicals should be avoided, or test first on a few leaves to be sure the material will not damage the leaves. Although it can be grown from seed, this plant is most often propagated from cuttings. Stem cuttings are easily rooted within 4 to 6 weeks in any type of potting medium in warm temperatures. Cuttings are best taken in spring or summer, allowing the cut portions to dry and callus for a couple of days before putting in the rooting medium. They may also root in water. 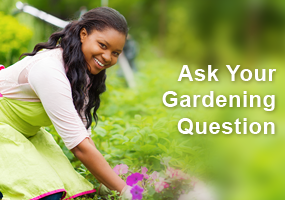 Even leaves that are knocked off while pruning or doing other activities may root on their own. There are several varieties, although most of these are not readily available, other than perhaps from specialty nurseries. It is likely that some mislabeling goes on, so identical plants may be sold under different names. Variegated types tend to be smaller and less robust than the green ones. ‘Aurea’ is a compact form with the new leaves a bright yellow in full sun. 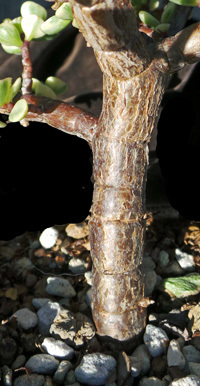 ‘Cork Bark’, selected by a bonsai practitioner, is prized for bonsai because of its fissured, corky bark. The leaves of a variegated form. ‘Foliis variegatus’ is a slow growing variegated form well suited to container culture. ‘Limpopo’ has much larger leaves. It is the natural form (P. afra forma macrophylla) from the far north of the species’ range. ‘Medio-picta’ is a variegated type with green leaves with whitish markings spreading from the center and especially bright red stems. ‘Prostrata’ or ‘Low Form’ are low-growing types that works well as a ground cover. ‘Variegata’ has a more compact, upright form with white or cream edged, pale green leaves with pink highlights that does not tolerate bright sun as much as the species. I work in plant industry in Phoenix area…taking care of plants at businesses. I have an issue,with the elephant food plant, that I have never had before. Something is eating it and I’m pretty sure it’s not elephants. There are ‘bites’ taken out of some leaves…some stems are stripped of leaves…there are leaf ‘crumbs’ on the edges of the growpots. I have seen this recently in two of my outdoor accounts. Starting to show real damage. What could it be? I also live in Tempe Az. I just bought an “elephant bush, skebloom” from Lowes about 3 days ago. I don’t know if I can plant it in the ground or should I keep it potted? It is about a 1’x1′ bush and I’m wondering if it can survive in the summer heat outdoors here? You can successfully grow it in the ground or in a planter here in the Phoenix area. You will see it used a lot in commercial plantings and in retail areas because it’s very durable. Oh yeah. Lived in chandler/tempe my whole life and this stuff will take over if not kept. it will last through the summers with very little attention. Freezing seems to be more damaging than heat. Nothing like a thrift store sheet can help with. Hi David, I aso live in Tempe Az. I just bought a skebloom from lowes and assumed I could plant it in the ground or leave it in the pot but now I dont know what to do with it. If I plant it in the ground can it survive the summer heat next year? I have my mother-in-laws large elephant plant, she had it sitting on the North side of her house in Goodyear. It was doing great at her house one of the stems was 2″ in diameter. She pasted away earlier this year so we brought the plant to our house we live in Goodyear also. The plant has lost all it’s leaves and starting to shrivel up. Please help me and my husband, we don’t want to loose this plant. Can I grow these plants in the ground in the Phoenix area? I got a few of these in succulent baskets that I purchased this year. I was wondering what the plant was and now I know. I hope I can make them survive over the winter. I did not realize that the leaves were edible. I currently have a hedge of Elephant bush, about 4 feet high, 3 feet wide and about 15 ft long. The bush is probably 40 years old and the trunks are up to 18 inches thick. Unfortunately, the city does not like my narrow, curbed driveway (built about 20 years after the house was built in 1916) and they are preparing to rip out the driveway and about 8 feet of the bush. I would like to save as much as I can. I tried to dig it out, but the soil is hard as a rock and the trunk seems to go deep. If I cut it off at the base as close to the ground as I can will it transplant as is or will I have to section it off? I have a stand of bush in the front plated form small cuttings with root hormone and it is now about 6 feet tall. Can I use the hormone with the big trunks? Any help is appreciated. Your hedge sounds *wonderful*! Supposedly from other reading I’ve done, this plant has a small root area, but with a hedge the size of yours, I wouldn’t want to have to lift its root-ball! I would instead salvage the branches & let them root on the ground . . . like what happens when elephants graze the leaves off of them, in the process breaking branches off & leaving them lay. . . . When they later come back to that area, new plants are growing & adding to their grazing area! You may just have to try to see what will & what won’t root. But, I’ve seen huge old woody-looking stumps of cacti that have rooted & begun growing anew, & don’t doubt that this might be able to do the same. . . . I just found this source of information that I think might be of help to you, especially under the subheading: “Propagation” . . . While I was out in my backyard this afternoon, I noticed that one of my P. afra plants is covered with very pretty but very small pink flowers. This was the first time in over 40 years that I have seen a P. afra in flower! Susan whoops.I am not in Wisconsin,,,, but google gave me this link. Have no question just a comment, the elephant plant is the best plant in my yard ! love it. I just bought a very tiny elephant bush plant from Lowes, in a container about the size of a dixie cup. We’re heading into winter here, so I was worried about repotting it…thinking maybe I’d wait til spring. I keep it sitting on a window sill that faces south, so it gets sun all day long. At night I move it away from the drafty window, and move it back to the sill in the morning. I notice the soil in the cup is extremely dry. I watered it lastweek, but it’s bone dry again and feels like it weighs nothing. How should I care for my little dixie cup elephant bush over this winter, as far as repotting or watering? I don’t want to overwater it, but am worried it’s not getting enough water because the soil is so dry. The plant looks fine, but it’s real tiny. My current jade seems to be having a problem! I transitioned it to outside at the beginning of April and it flourished. I am located in Texas and as summer has come along the jade has been doing well. It was super raining last week, so I moved it inside for a few days so it would not get over watered. It is now back outside and the leaves are dropping like crazy. Many of them are yellow or have spots of yellow. Any suggestions? I checked for root- it is really dry, in fact I know it needs water because the leaves are shriveling. Any help would be greatly appreciated! I had this plant for 3 years now and hope for many years to come! 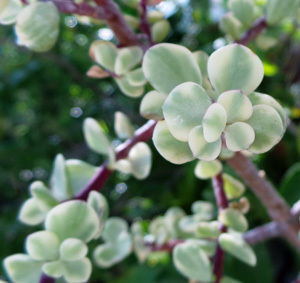 The comments section is not a forum for asking random questions – this post is about elephant bush, not jade plant! And if you’re not in Wisconsin you should ask your local Extension office for help, as they know local conditions that can be vastly different from here. That said, if the leaves are shriveling, then water it. Elena, how kind of you to be from Texas and seek information and advice from gardeners everywhere! It is precisely why I came to this page–to learn and we are all trying to do that 🙂 I too, am from Texas and on occasion when we have freezing temperatures, rather than take chances, I will bring my plants in from the outside. I bring in my beautiful elephant bush, because I don’t want anything to happen to it. However, I noticed that when I do that, it will act a little temperamental and begin dropping leaves. But once I take it back outside, it adapts quickly and begins to flourish again. So it’s possible just the moving around might be the culprit. Hopefully your little jade plant will do the same. Since you’ve had it three years already, you must be doing something right! Good luck! We have two potted elephant plants that are doing well despite the extreme Phoenix heat. 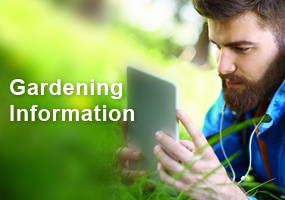 You mentioned watering when soil is dry 1″ down. Wondering if large pots could withstand up to four weeks without water or if they need to go on the dtip system while we’re gone that long? Thanks. Very informative, complete! Thank you. I bought a big 8 inch pot with a group of 3. I broke it down and tore the 3 seperatw plants apart and have been growing them for over 3 years now and they are all flourishing. I live in tempe AZ.